Is Vegemite good for you, and does it have any health benefits? Let’s be honest - you either love Vegemite or you loathe it - simple as that. The earthy, yeasty, slightly salty spread is not for everyone - and certainly divides opinions, but it is as Australian as a koala. So much so that is also called black velvet by true aficionados. So if you haven’t tried it, get yourself a bottle to work out of you are a yay or nay. Marmite - for anyone who has tasted Vegemites British cousin, is pretty close in terms of taste and texture - though different enough to not get any lawyers involved. 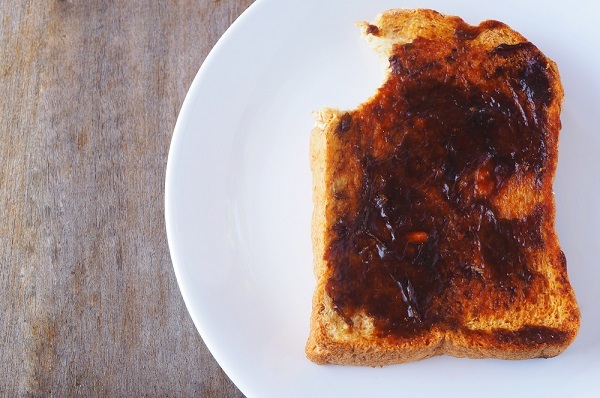 For those fans who happily slather the black spread on their morning toast with glee, have you ever wondered what the health benefits – and possible risks – of Vegemite are? Let’s take a look what is in the black,red and yellow tubs - and if this yeast extract has any health benefits. Let’s open the bright yellow lid and take a look inside. The paste is packed with B vitamins, containing a great big dollop of niacin, riboflavin and thiamine. It also has 50 percent of the recommended daily intake for folate. You’ll also get a good dose of calcium, magnesium, potassium, iron and selenium. These vitamins are known to help keep the skin and eyes healthy, improve cell health, boost the digestive system and keep your nerves in check. 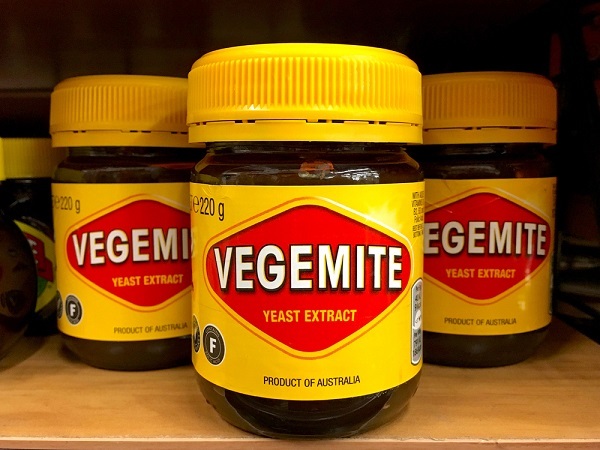 So while Vegemite is considered a healthy spread, it’s what you eat it in conjunction with that could get you into trouble - especially if these are also high in sodium. Be wary of the bread you choose – white being the least nutritious – and avoid the butter if you can or choose an alternative like coconut spread or avocado. That being said, Vegemite is incredibly salty. It's so salty. A 5g serving of Vegemite contains as much as 173mg of sodium, which is nearly half a gram of salt. The Heart Foundation recommends that adults consume less than 5g of salt a day - so you should really go easy on the Vegemite and spread it thinly to avoid falling foul of this guidance. If you only eat it occasionally there should be no problem with enjoying Vegemite, though you do need to monitor your diet holistically. To counter the high salt content the makers of Vegemite have also introduced a low-salt version, which is said to have 25% less sodium than the original recipe. So go easy on the spread and you’ll be one happy little Vegemite indeed!